Ali Akrad, 51, is a tailor. He, his wife and five children left Daraa, Syria in 2011. 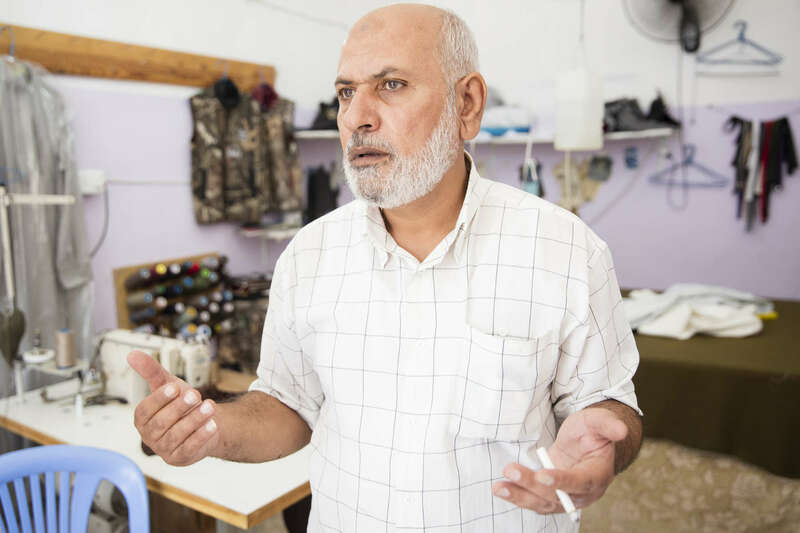 His shop was looted, so they drove through the desert towards Jordan, as warplanes attacked them. A Jordanian border guard found them stranded near the border, and drove them to Al Taybeh.